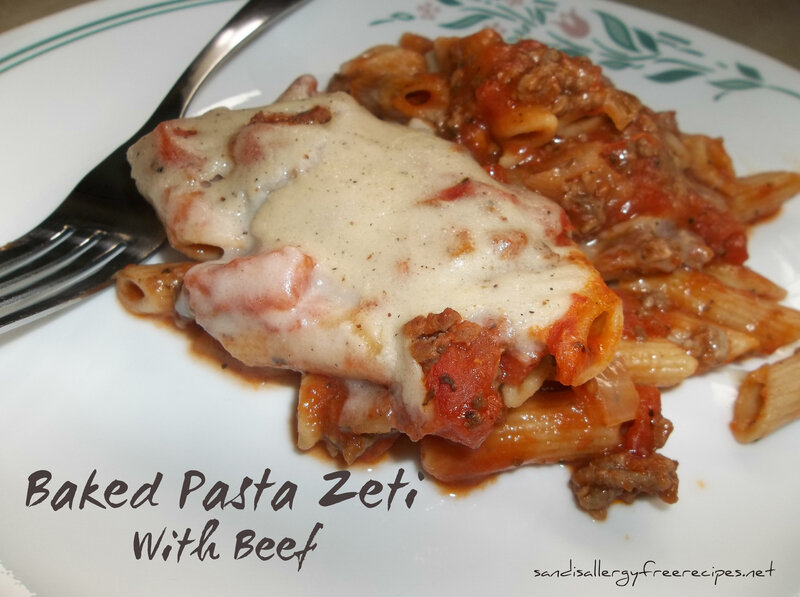 I love pasta zeti! I was scrolling through my old recipes and realized that I had not made it allergy free yet. I also want to make it much healthier. Its still so good! I have taken it to many pot lucks and everyone loves it and it always sounds so fancy. Cook pasta for 5-7 minutes or until just done. Don’t over cook the pasta because it is still going to bake in the oven. Rinse and set aside. In a medium frying pan brown ground beef and drain fat from pan. Add onions and saute for five minutes. Then add basil, garlic, tomatoes and tomato paste. Let cook for about ten minutes. 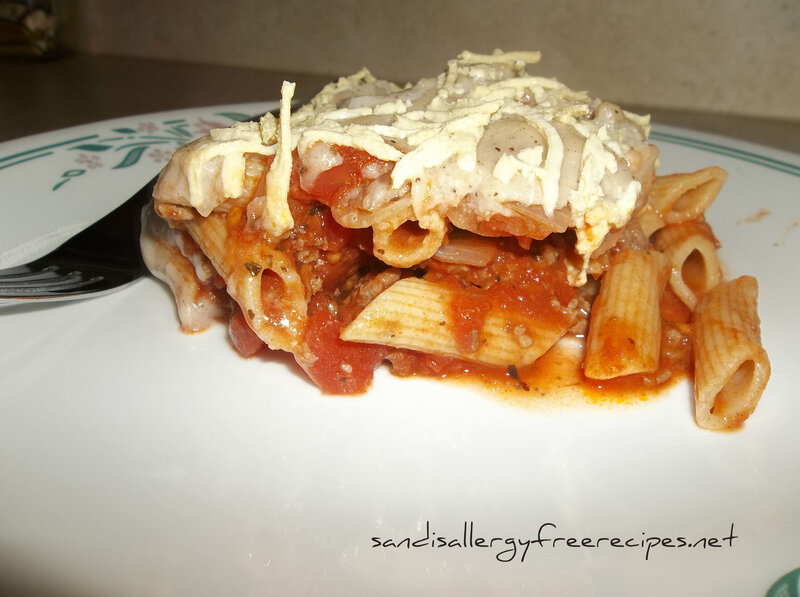 In a deep 9″ by 9″ casserole dish mix together pasta and meat sauce. In a small pot on medium heat, melt margarine; mix in flour and let cook for one minute. Slowly whisk in milk and nutmeg. While cooking, whisk and let thicken. Pour on top of meat/pasta mixture. If you’d like, before baking top with 1 cup of Daiya cheese. What is your favourite pot luck item?? ?